People say that the drink of choice for the Kentucky Derby is the Mint Julep. It’s a tradition that’s gone back over a century. Churchill Downs stocks more than 1,000 pounds of fresh mint and 60,000 pounds of ice to accommodate all the Julep drinkers over the two-day period for the Kentucky Oaks and Kentucky Derby this weekend. But who says you have to drink Juleps? You may not even like minty stuff. Why not explore some other whisky cocktail options? 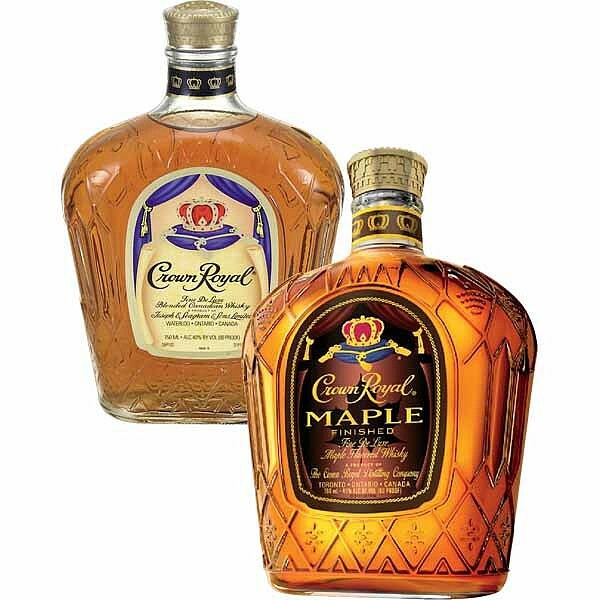 Well our friends at Crown Royal sent us a nice little care package for the weekend and they included everything we need to make some tasty libations for tomorrow’s big race. We received a box with a bottle of Crown Royal Maple, a bottle of Angostura bitters, an orange, a lemon and some pineapple juice. Mix ingredients in a shaker, top with club soda and strain into Collins glass. Garnish with half an orange slice and a cherry. Orb and Verrazano are the favorites, with each horse coming in at 4/1 odds. Goldencents, Rick Pitino’s horse, has the next best odds at 11/2. 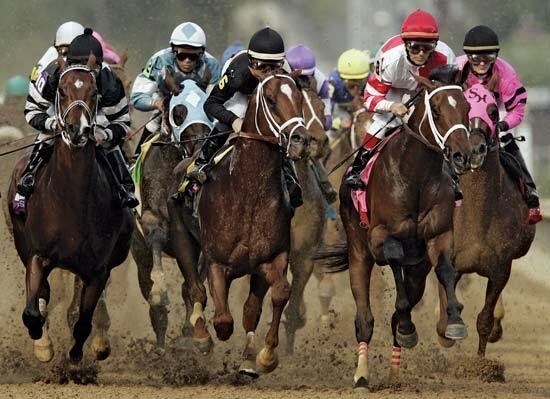 Forecasts in Louisville predict a 70 percent chance of rain, which could make for very wet and muddy conditions at Churchill Downs. Notice how he gave our horses zero love? That might be good news for charity, but we wanna see an upset, damnit! We’re in a competition here with a bunch of other bloggers. You can follow all the action by checking out @CrownRoyal and the hashtags #Derby and #ReignOn this weekend on Twitter.